Andrew Berman, Executive Director of the Greenwich Village Society for Historic Preservation. Nearly 50 years ago the city passed its landmarks law, with the goal of ensuring that historically significant sites and areas could be saved before they might be destroyed, as happened with Penn Station and countless other fallen landmarks. The law gave the city the right to landmark a property or area, but only after notifying the owner that they were considering doing so, holding a hearing at which the owner and anyone else could present their case for or against, and a public vote was taken. As a result, some of our city’s most iconic buildings, sites, and neighborhoods have been preserved. But in recent years the system has changed in a subtle but important way. Previously, as the law required, the Landmarks Preservation Commission (LPC) notified an owner or developer in advance of a property being “calendared.” Calendaring means a property is officially coming under consideration for landmarking, after which time all demolition or alteration permits for the site could be held for up to 40 days, giving the Landmarks Preservation Commission a chance to act before a property could be destroyed. However, starting a little over a decade ago, the LPC began adding an extra-legal step to the process. They began notifying owners or developers when a property was not even yet officially under consideration for landmark status, with no calendaring vote imminent, and therefore no temporary safeguards against demolition. Instead, they sent notice when they were simply unofficially considering or looking at a property for possible landmark status. In that time, a small but significant minority of developers and owners used this advance notice to secure demolition or alteration permits for their properties, making them ineligible for landmark status, or destroying some of the very characteristics landmark designation was intended to preserve. In other cases, the LPC moved so slowly after calendaring that even with the 40 day window they are afforded, buildings under consideration for designation were demolished or compromised anyway. All this is documented in a report the Greenwich Village Society for Historic Preservation recently commissioned and released which can be found here. Sites lost in this way include the Frank Lloyd Wright-designed Hoffman Auto Showroom on Park Avenue, the Morris Lapidus-designed Paterson Silks Building on Union Square, and the Dakota Stables on the Upper West Side. Dozens of less well-known 19th century townhouses, loft buildings, and French flats located in districts being considered for landmark designation were also lost or compromised in this way. All were a result of a process not required or even envisioned in the original landmarks law. Owners should and must be notified of and included in the process when their properties are being considered for landmark designation, and they should be given every opportunity to make their case as to why they think their property should or should not be designated. But they should not be given the opportunity to subvert the process by getting demolition or alteration permits before the matter has even been heard or considered. And if the LPC is going to consider a site or area for landmark designation, they should be prepared to designate within the 40-day window they are afforded if necessary in order to prevent loss or compromise from occurring. 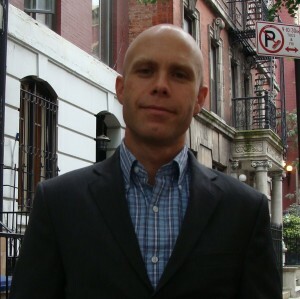 Andrew Berman, serves as Executive Director for the Greenwich Village Society for Historic Preservation.